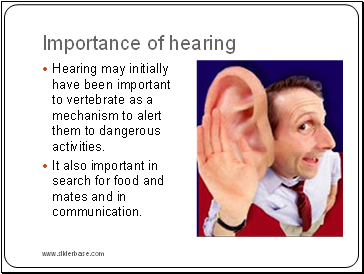 Hearing may initially have been important to vertebrate as a mechanism to alert them to dangerous activities. 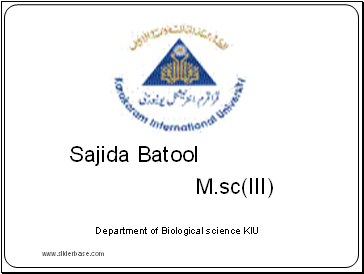 It also important in search for food and mates and in communication. Humans are not able to hear low pitched sounds, below 20 cycles per second . 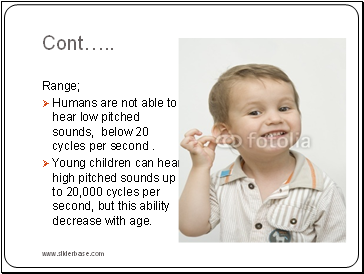 Young children can hear high pitched sounds up to 20,000 cycles per second, but this ability decrease with age. 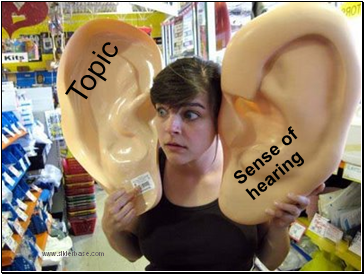 Auricle and external auditory canal. 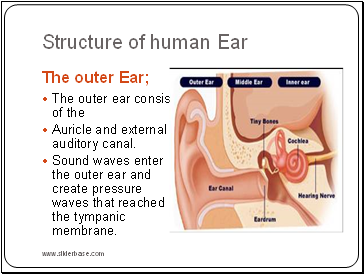 Sound waves enter the outer ear and create pressure waves that reached the tympanic membrane. 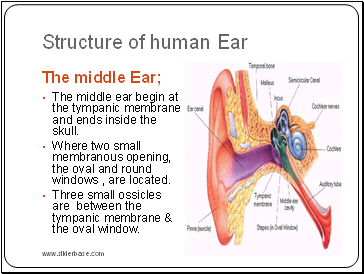 The middle ear begin at the tympanic membrane and ends inside the skull. Where two small membranous opening, the oval and round windows , are located. 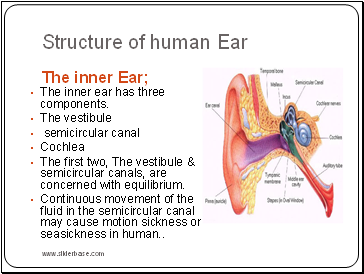 Three small ossicles are between the tympanic membrane & the oval window. So name for their shapes. 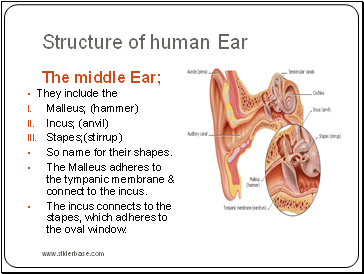 The Malleus adheres to the tympanic membrane & connect to the incus. The incus connects to the stapes, which adheres to the oval window. 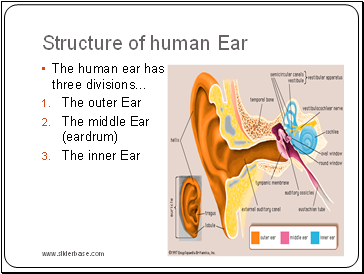 The inner ear has three components. The first two, The vestibule & semicircular canals, are concerned with equilibrium. 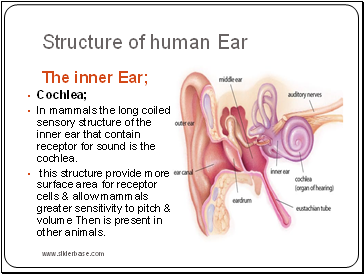 In mammals the long coiled sensory structure of the inner ear that contain receptor for sound is the cochlea.